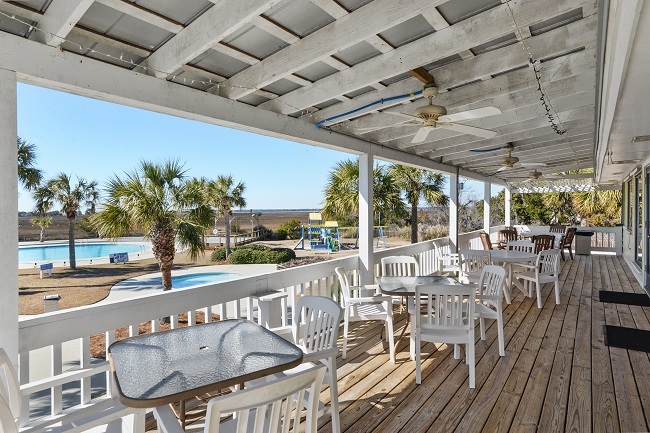 Take your next beach vacation on the private beach community of Harbor Island, South Carolina. Kick back and relax at L204 Beach House Villa, located on Harbor Drive, close to the island’s amenities. Harbor Island neighbors Hunting Island State Park and the quaint town of Frogmore. A pleasant twenty-two minute drive away is Historic downtown Beaufort and the Henry C Chambers Waterfront Park. 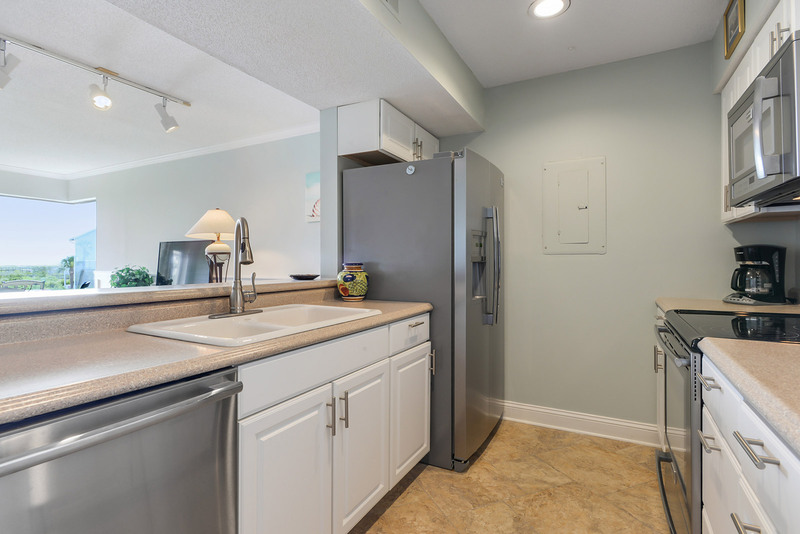 This one bedroom, one and a half bath condo is located on the second floor of the Beach House Villa building. 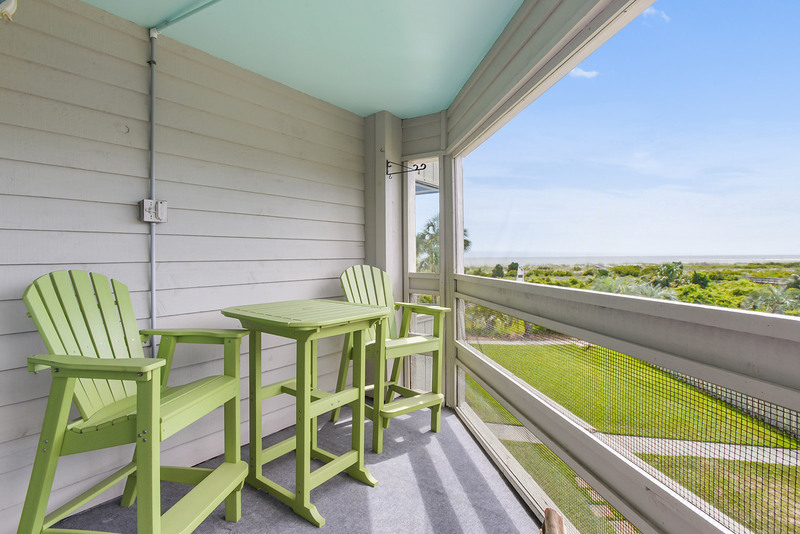 Since it is on the corner, you will see some of the best ocean views right from the living room. Tons of natural light, Wainscot walls, crown molding, and tastefully decorated, this place will definitely make your stay memorable. This beach getaway offers many creature comforts of home. A full kitchen with stainless appliances allows for meal prep to be easy. The dining room table seats four comfortably, with additional seating on the screened porch. 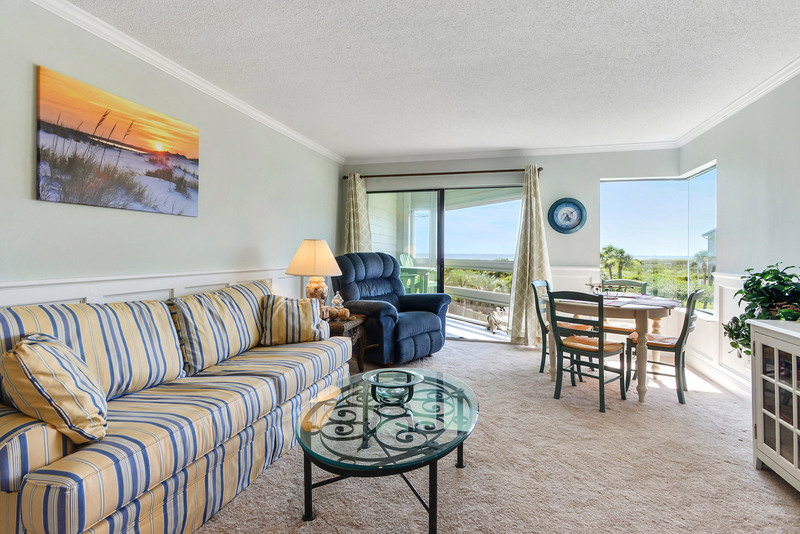 After a full day at the beach, kick your feet up on the recliner in the living room, or stretch out on the sofa. The sofa converts into a bed for additional sleeping arrangements. Or curl up on the oversized chair and read a good book. The bedroom is welcoming with a queen size bed. There is cable TV both in the bedroom and living room. Wifi is also provided. 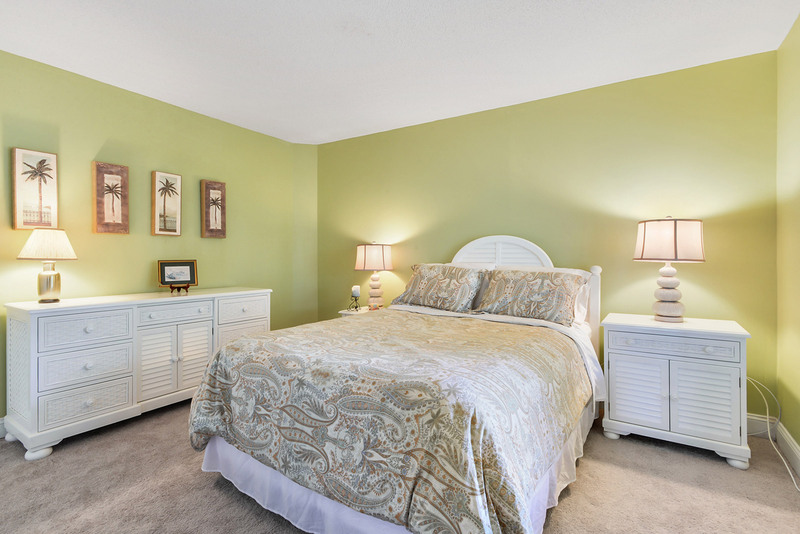 There is plenty of dresser space to unpack all your things and settle in quickly. The full bath has a shower/tub combo, and fresh bath towels. Take full advantage of the screened porch. Spend each morning of your stay with a cup of coffee while taking in the fresh air of the beach. It is quite an expansive view! The condo also overlooks the condo building’s pool. If you feel like an afternoon of grilling, head to the community green space for the charcoal grilling stations. Going to the beach is easy with the boardwalk right near the building. During your stay, be sure to take full advantage of all the amenities Harbor Island has to offer. The Beach & Racquet Club is home to the Olympic size swimming pool, kiddie pool, and sand volleyball. It also offers tables and shade, a snack shack, and the fitness center. You can even rent bicycles here to explore the island. Just outside the Club there is a tennis court and half court basketball.